Show your enduring adoration with this sumptuous, elegant spray. Stunning fuchsia roses and pink cymbidium orchids are a breathtaking display of love. 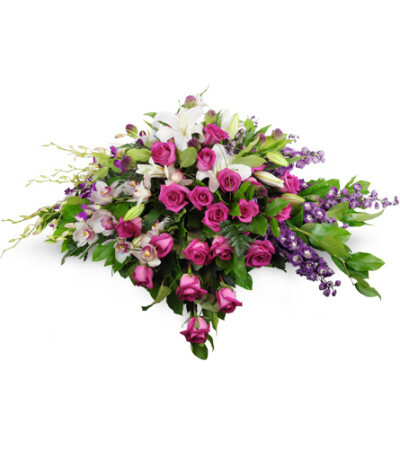 Two dozen fuchsia roses make a lovely statement, arranged with cymbidium orchids, dendrobium orchids, lilies, larkspur, and more. 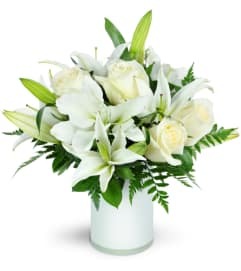 This arrangement is designed to rest atop the casket. I placed an on-line order on Mar 20th for delivery on Mar 21st. In the special instructions box I asked that the delivery be made before 11:00 am. Not only were the flowers delivered within the specified time frame, the arrangement was BEAUTIFUL. It surpassed our expectations! It was absolutely PERFECT! Will definitely order again from Alta Vista! Thank you for the wonderful service! 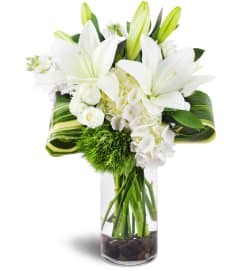 I ordered flowers for my mother's birthday and selected a surprise arrangement through the online order form. Alta Vista Flowers put together the most beautiful bouquet! Very pleased with the delivery service as well! 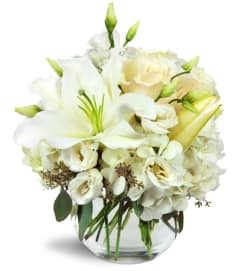 Yesterday, I contacted Karen, owner of Alta Vista Flowers and asked her to put together a bouquet for a dear friend who was coming out of a depression. The bouquet she and her team put together and delivered later that afternoon, was gorgeous beyond belief; my friend cried tears of joy at this unexpected, but much appreciated gift. I whole-heartedly recommend recommend Karen and Alta Vista for all your floral requirements. Alta Vista Flowers is a Lovingly Florist in Ottawa. Buying local matters. Discover how Lovingly supports local florists. Copyrighted images herein are used with permission by Alta Vista Flowers.